Automated 6 Positions Cleveland Open Cup Flash Point Tester ACO-T602 - Glorious Green PCB Co.,Ltd. 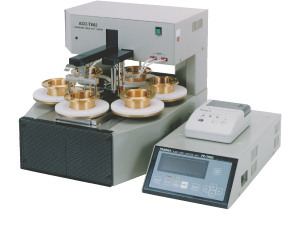 ACO-T602 automatically carries out COC flash point test of up to 6 samples continuously. For large sample numbers, this carrousel model reduces the burden on the laboratory personnel. Easy programming: Up to 6 types of sample data can be stored and later recalled for easy programming of routine tests. ISO 25921, ASTM D92/IP36, etc.